May 15, 2017 (DALLAS, TX) – Boxer Property is pleased to announce that it has concluded a multi-year expansion and renewal negotiations with TriDigital, LLC, an IT marketing firm based in Dallas, TX. 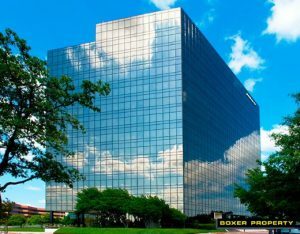 TriDigital, LLC has been a valued tenant of Boxer Property since 2013 and the growing digital marketing firm has expanded into Bank of America’s former space, bringing their total size to 12,070 SF at 101 East Park Boulevard in Plano, TX. Leasing Representative, Julieann Chism, and Regional Leasing Manager, Gloria Medlock, negotiated the deal on behalf of Boxer Property and dealt directly with the tenant. Also known as Plano Tower, 101 East Park Boulevard has 13 stories with a total of 225,445 square feet of office space for rent in Dallas, TX. This stunning Class A office tower also features a mirrored glass exterior, beautiful landscaping, upgraded lobby, and polished granite floors. Tenants appreciate the myriad of amenities available at Plano Tower including an on-site café, on-site Bank of America, conveniently placed FedEx and USPS drop boxes, and abundant surface and covered parking. TriDigital, LLC is an IT marketing firm offering completely custom marketing strategies for IT companies and managed service providers. For more information, visit tridigitalmarketing.com.